If you own a timeshare that you don’t want anymore, you have probably found yourself wonder how to get rid of a timeshare. Calling the resort or timeshare company is guaranteed to be a dead end so you may think you are stuck. Here at Timeshare Cancel Center we deal with getting rid of timeshares and we know that your situation is not hopeless. Read on to find out ways to ditch your timeshare for good! Vacation should be a relaxing experience. It is a time for you to recharge, reconnect, and return rejuvenated and ready to put your best foot forward. Some people enjoy relaxing on a beach in the sun, reading a good book, and sipping a cold drink. Others prefer reconnecting with nature and spending the evenings by a fire. Still, others would rather be more adventurous and spend their vacation time trying new things and experiencing new thrills. Whatever your ideal vacation, you deserve to spend your vacation time how you want. If you have a constraining or expensive timeshare, you may find yourself locked into a vacation that you don’t enjoy, or can’t even go on due to conflicting work or school schedules. This can leave you irritated and wondering how to get rid of a timeshare. If you call the resort, they will tell you it is impossible and direct you to the timeshare company. At this point, the resort has very little to do with your timeshare anymore, and they cannot help you. You may try calling the timeshare company and telling them your story, asking, even begging for a timeshare cancellation. Pleading with them to tell you how to get rid of a timeshare. The timeshare company will most likely give you the runaround. They will tell you a cancellation is impossible, and your only hope is to try to sell your timeshare. In some rare cases, selling a timeshare makes sense. But, take it from the experts on our timeshare exit team, more often than not, you will lose money in a timeshare sale. Contrary to what you were lead to believe, most timeshares do not gain equity, and they are not in fact an investment. Rather they are a luxury item like an expensive car, and they lose value the moment you purchase them. So, if you don’t want to lose hundreds or even thousands of dollars by selling your timeshare, you may think the situation is hopeless. It is not. Our timeshare exit team specializes in timeshare cancellation, and we can help you get rid of your timeshare. Now, you may be wondering “timeshare cancellation? I thought that was impossible!” Rest assured it is not. With our help, you can get a resort authorized cancellation letter that is guaranteed to help you get rid of your timeshare. We have the secrets that the timeshare company wants you to believe do not exist. We can cancel your timeshare. Our timeshare exit team is a group of experts who specialize in timeshare cancellation. We don’t do timeshare sales or transfers, only cancellations. 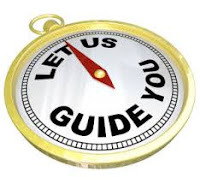 We are not timeshare attorneys which means you won’t pay lawyer prices for our services. We can help you figure out how to get rid of a timeshare and reclaim your vacation. If you need to do a timeshare cancellation, I would strongly urge you to call us before you speak with your timeshare company. And, whatever you do, do not try to cancel your timeshare on your own. We have seen some cancellations so mixed up that there was no way for us to help. By calling our timeshare exit team, you have nothing to lose. We stand behind our services, so much so that we offer a satisfaction guarantee. This means that if you are unsatisfied with our services or we aren’t able to cancel your timeshare, you get your money back. The best part? Once you call us you don’t have to deal with your timeshare company anymore, we handle it all for you. The only thing you have to lose is your timeshare. We are open twenty-four hours a day, seven days a week, three hundred and sixty-five days a year. 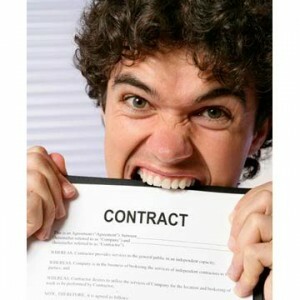 Call us to get rid of your timeshare today!